Saturday and Sunday from 10:00 -18:00 and Monday to Wednesday 10:00 - 20:00. 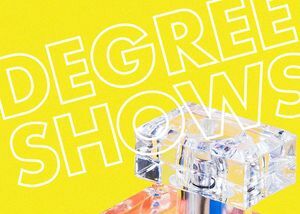 On 8-13 June 2018 the annual Creative Industries Degree Show, Con-form, will showcase work from over 500 talented graduates from undergraduate and postgraduate art, design, film and journalism programmes. This event is a real highlight of the year and is an opportunity to see the exceptional work across our City Campus locations at Arnolfini, Bower Ashton and Spike Island. This year’s theme, Con-form, was developed by students William Bently and Myah Calista, who drew inspiration from the many students of the past who have protested for various causes. On the concept behind their designs, they said: "We do not all comply with the system. Once we start to learn about the world outside of our own, we see the need to go against the grain, to rebel against the status quo."